Last Minute Tasks Before the End of the Year | One woman. Many bicycles. Ah, December. The last chance to complete everything you’d set out for the year. Or in my case, spend the remaining healthcare funds out of my Flexible Spending Account (FSA). Top of the list was getting a physical and a mammogram, closely followed by an eye exam, and refilling allergy medicine. According to Google maps, it’s only 1.8 miles to my doctor’s office: 8 minutes by car, 10 minutes by bike. An easy choice despite the frosty morning. When I rolled into the parking lot I noticed they had moved their previously hidden bike rack to a more prominent location. 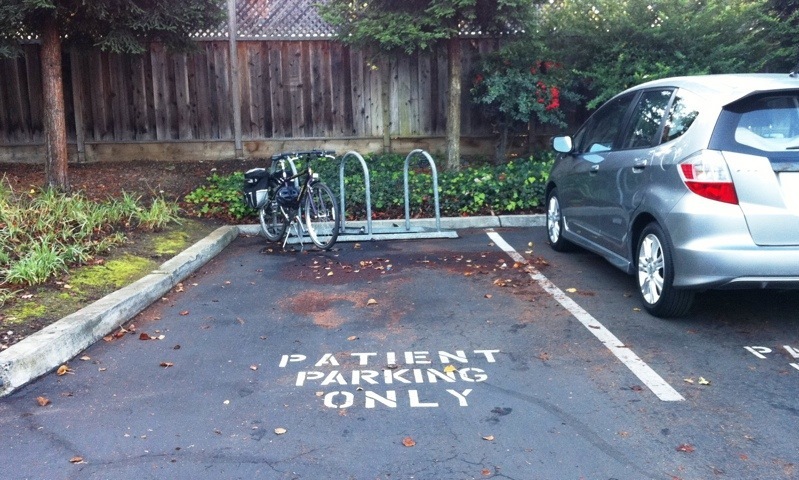 But the “patient parking only” made me wonder if doctors and staff are not allowed to use it. 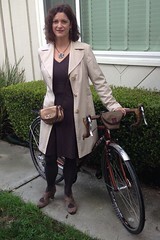 For those who think doctors wouldn’t ride to work, guess again. I once got stitched up after a mountain bike fall by an urgent care doctor who regularly rides to the clinic. 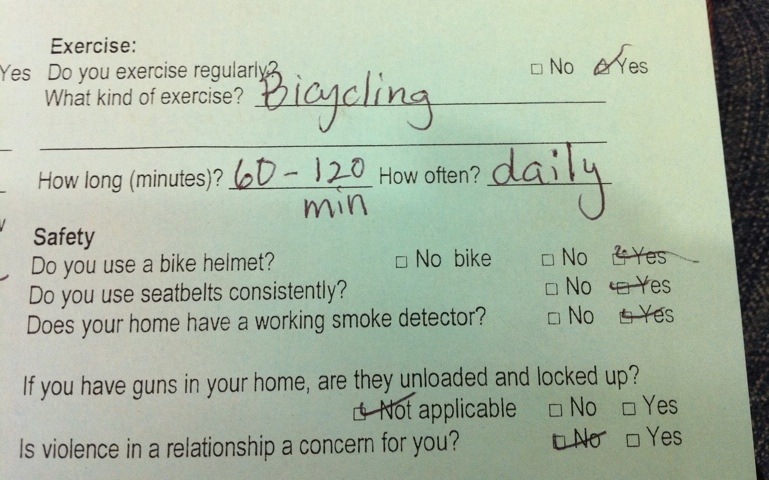 Since I had allowed 30 minutes for the ride I had plenty of time to fill out questionnaire. I was pleased that they had a section on exercise, but was a little dismayed by the safety section that followed. It asked only five questions, most related to obvious dangers: loaded guns, domestic violence, smoke detectors. 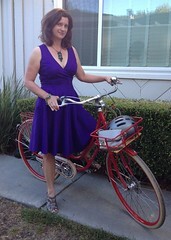 But first on the list was whether I wore a bike helmet. The answer for me is yes, at least when riding in the car-centric areas, like most of the United States. But I couldn’t help wonder if this really the #1 safety issue? What about eye protection when using power tools? Or having a rubber bath mat in the shower? Or never cutting with the knife blade facing toward you? One thing I like about visiting the doctor is getting the stats. Blood pressure: 116/60. Heart rate: 73. Both normal, but higher than usual for me. Could it be from riding to the appointment? Height: 5′ 6.5″. Weight: about 5 lbs more than usual. Ooops. Time to start counting points again. 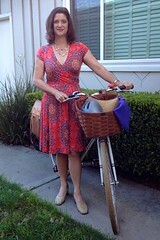 But everything in the healthy range thanks to bicycling. 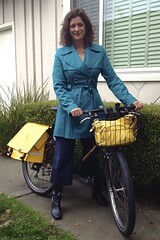 I rode off to work, picking up my allergy prescription at the drug store along the way. That afternoon I rode to the clinic in Palo Alto for my mammogram, riding under the Caltrain tracks through the Homer Tunnel. When it was built, the tunnel was controversial because it’s at the end of one-way street along a bike-unfriendly arterial road. The city considered a contra-flow bike lane along the one-way street, but it was nixed after an outcry by businesses not wanting to lose eight street side parking places. The city found a workaround by changing traffic light timing sequences so now patients, staff and other cyclists and walkers have a much-needed tunnel. The whole facility is really lovely. Who wouldn’t feel better after visiting a clinic with beautiful garden areas and comfortable, attractive interiors. With only a small amount of pinching and poking, I passed the mammogram. Finally, last week I had my eye test where I learned that the optometrist rides his bike to the office too since he only lives a mile or so away. Tomorrow I’ll ride back down to the optometrist’s office to pick up my reading glasses, adjusted with a slightly stronger prescription. 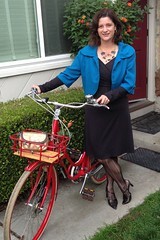 If only bicycling could help keep my eyes as young as it does the rest of me. Is there anything you’ve been putting off all year that you’re in a rush to complete? Or will it roll over to become a New Year’s resolution? 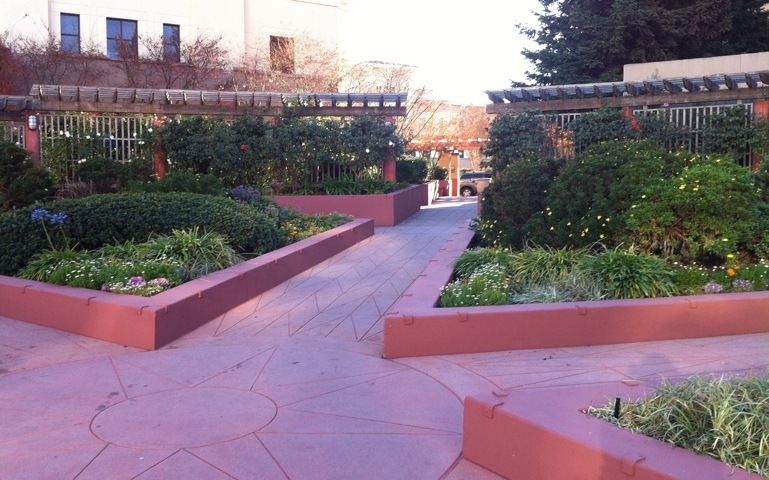 The “small delightful details” are usually to keep skateboarders from railing. More than likely, pre-planning addition by the designer prior to garden. That makes sense, Becky. My first thought was that they were to keep people from sleeping on them, but they really aren’t prominent enough for that. The whole area was carefully designed and well executed especially since there’s a lot going on: significant car traffic coming from El Camino, a train station, cross foot and bike traffic along the tracks, and the tunnel to downtown. FYI, the “delightful details” are usually to keep punk kids from grinding their bikes and skateboards on that edge…. Very prominent in Perth. 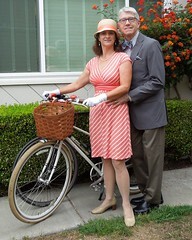 For doctors themselves, treating a patient with a brain injury from cycling or motorcycling is a traumatic experience. Compared to any other part of the body, there is little modern medicine can do for an injured brain. Prevention is the best technology we have. Anyone who has been on call in an emergency room has stories to tell. Brain injury cases take a lot of staff and often don’t come out well (the benefits of organ donations notwithstanding). Exhausted and feeling helpless from treating someone at 4 a.m. when there are other more treatable patients waiting, I am sure I would also lose patience with my patient who thought they didn’t need to wear a helmet. It is probably not the biggest risk they could ask about, but it’s a very salient one to the medical profession. Firefighters feel the same way about smoke detectors for similar reasons. I’m sure they’d put the smoke detector question first. Brian, you’re missing my point, which is that given this list of hazards I don’t think it warrants the #1 spot. Riding in motor vehicles are the #1 most dangerous thing people do every day and not wearing seat belts significantly increases injury risk. I’d put smoke alarms next, then guns. 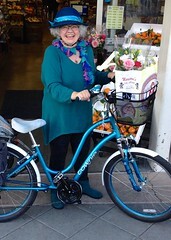 But my real issue is the consistent characterization that bicycling is a dangerous activity, which I feel discourages people from hopping on a bike and riding down to the store at 8-10 mph, even with a helmet on. I mention 10 mph because that’s the speed of faster runners, who I have yet to see wearing helmets. I got your point. I agree it’s not the #1 most dangerous thing. I was trying to explain why it’s the #1 most salient thing to doctors. They brainstormed among themselves for safety questions they should ask, and I bet bike helmets came up first because that’s really vivid (the cases take a long time and make doctors feel helpless) compared to more common risks. And seat belts probably came up second after somebody thought of bike helmets. Unfortunately, I think knowing how to swim is on the decline and it’s definitely a public safety hazard, especially since so many swimming pools, especially at apartment buildings and condos, don’t have lifeguards.